Triumph Horse Feeds are specially formulated to give your horse the nutrition it requires under a broad range of conditions. 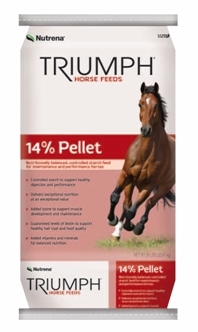 Triumph 14% Pelleted Horse Feed is regionally available, and is designed to be fed to mares, breeding, maintenance and performance horses. 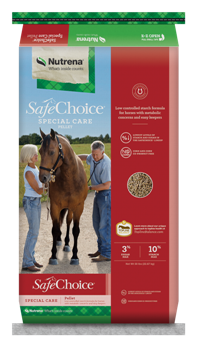 Triumph horse feeds are available regionally. The below guaranteed analysis represents a typical product, however there may be regional variations. Please visit your local Nutrena retailer for product specifics in your area.